Majority of the people in the SEO community are always looking for ways to improve content for their clients. Be it a website, press release, or a blog, there is always a room for improvement for better ranking. It is discovered that the principles are same for LinkedIn optimization as they are true to SEO. First of all it is possible to optimize your LinkedIn profile to rank better in search. Here are few areas which are keys to achieving an optimized LinkedIn profile and brief information about optimization techniques. The foremost important thing to optimize on your LinkedIn profile is the headline. This headline field requires a meta description in SEO terminology. It is a way to describe how and why to the world without using other labels like “Job Title”. It is general rule to go with three keywords for your headline and contact information. 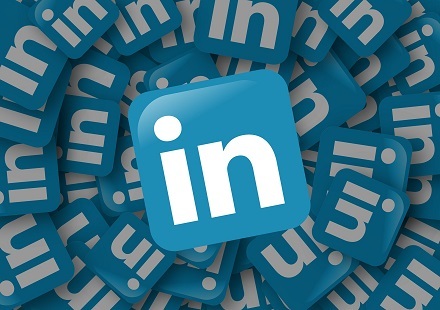 For the new comers who are not familiar with LinkedIn, contacting a stranger connection is not easy unless you have a same group or a mutual friend, so contact information is very helpful for developing new business. Like meta description at SEO counterpart, the first thing which a searcher sees when searching on LinkedIn is the contact information. A profile summary is something to describe who you are, what you do and what you want to achieve, and what you aspire to be. In SEO it is equivalent to 100 words of the page. This is a great opportunity to add new keywords and more descriptive strings. However, it is very important to use your targeted phrase a few times throughout your summary. Just like any effective website, a LinkedIn profile optimized with user experience in mind will get the sale long before a keyword-stuffed can of SPAM. Another important thing to consider while looking optimizing a LinkedIn profile is the job title and description. The job description should not be word to word verbiage from your job offer letter. You should be creative, truthful and descriptive. Keep in mind that your target audience has even less time than you to spend reviewing job applicants, so cut to chase. Connections and group memberships determine your ranking in the LinkedIn search results. Group memberships serve as a “vote of confidence” of sorts, and the closer your connection to the searcher, the higher rank will show if they use filter option to sort by relationship. Try to join as many groups and connect with a few LinkedIn Open Networkers from your industry. Changing the headline, summary, and work experience alone increased search impressions. There is an uncontrolled variable which is a new recommendation otherwise there’s no accurate way to measure this type of action. Adding the keywords to the 3 high-traffic fields of your LinkedIn profile will provide an impeccable increase in the number of it will display in search results. Optimization helps making rank better in search results and connections. I hope this article would be helpful and if you like this article, please leave feedback in the comments section. Sheraz saleem ghouri is an upcoming article writer. He is an engineer and a business graduate. Presently, he is a senior O level teacher and a student counselor at a very renowned institution. He is interested in education, Technology, events and management writings. You may contact him on the below address.